Babyscripts, the leading prenatal app and the first mobile clinical tool to allow OB/GYNs to remotely monitor their pregnant patients’ progress and health, today announced that Nirmal Patel, M.D., M.P.H., is joining the Babyscripts leadership team as Chief Clinical Transformation Officer. In this role, Patel will lead the overall clinical vision and impact at Babyscripts, helping current Babyscripts customers best leverage technology to transition into value based agreements with payers and also lead the company’s managed care (MCO) strategy. Dr. Patel joins Babyscripts with more than two decades of experience in developing high-performing primary care delivery systems and digital health solutions, which are outcomes focused. 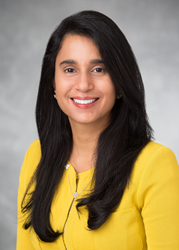 Patel joins Babyscripts from UnitedHealthcare, where she served as vice president in population health. Previously, she served as chief medical information officer at Teledoc, Inc. She also held executive positions with Morgan Stanley, Cisco, and the Norwalk Hospital Corporation, among others. A respected thought leader and spokesperson for the businesses she represents, Patel is also an accomplished researcher and public speaker. She has participated in numerous nationally renowned boards and leadership councils, and is often in the media sharing her expertise.